Recently I wrote a guest post for Alice over on Tea & Lead which featured a couple of my Autumn / Winter looks in the form of a lookbook – My first one, ahh! I thought for this reason, that I would show you one of the looks, one of my favourite for the colder days / evenings. I absolutely love my tartan skirt and although it can be quite difficult to style, I think that this is a look that really works, especially with the addition of the faux leather jacket. With or without tights this outfit works really well and so is a great summer into winter combo. I paired this look with my black booties as I think this adds an edgier yet comfortable feel to the style. Sorry for he rubbish image, haven’t had time to take a better one! 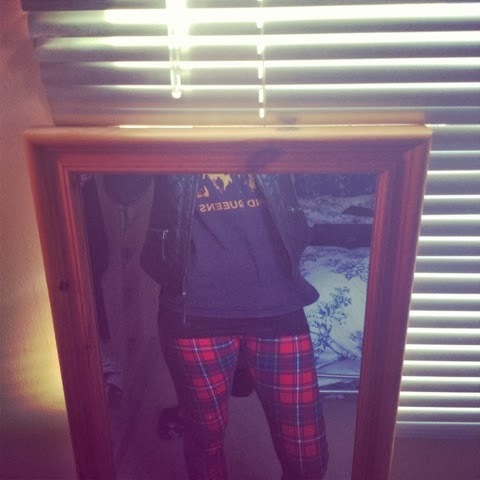 These gorgeous Jack Wills Tartan Leggings were a total spur-of-the-moment buy. I fell in love with them and just had to buy them, however now I am finding it hard to style them. Damn Tartan! Why has it got to be so difficult? 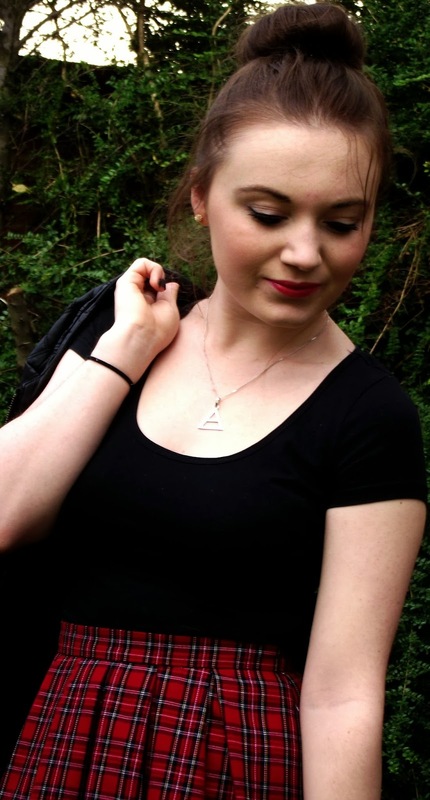 In the end I’ve managed to create this comfy look – an extra long black tank top underneath my ‘Thirty Seconds to Mars’ band tee. I also find that my big slouchy over-sized jumper goes great with these leggings and my black Vans. Such a comfy and yet simple look for these amazing leggings! Let me know how you style tartan in the comments below. Love the outfit and how you styled it! Really inspired me as I dont think I'd suit tartan that much! Love this out! I'm obsessed with tartan too. Really love the tartan skirt, you've styled it so well! Love that tartan skirt, I have one similar and always wear it with my leather jacket but I adore the quilted effect of yours! You can't go wrong pairing tartan with black, especially when it's leather..I'm a bit punk obsessed.